Hello and welcome to the November issue of the MACAW Flyer. This past month was a busy one. I hope that many of you were able to participate in some of the fun activities we had. We also made a few changes to where we will meet starting in January and where the MACAW library resides. We had a special speaker in October. There is an avian rescue having a grand opening in November that you don't want to miss. We also worked to make a positive difference for all companion birds in the state that will make you proud to be a part of MACAW. And last, we might start a MACAW approved program for pet stores. First, every member deserves to be thanked. According to the Humane Society of the United States, there are over 40 million companion birds in this country alone. That averages out to more than 1 in 7 homes have a pet bird. Most people who have birds do not belong to bird clubs. For whatever reason, they just don't. Many people buy a bird on impulse or because it looks cute. Within a couple of years, some of these people, now realizing all the effort that must go into keeping their bird, let the bird fly away or surrender it to a rescue. The chances of having a happy and healthy bird, and you being happy with your bird, grow exponentially just by being a member of a club like MACAW. Attending educational seminars, knowing other people with birds, people you can go to and ask questions is a very important part of that. This is the hidden value of being a part of such a club. If you would like to get more out of your membership and learn more, just volunteer with your bird club by doing something that you already enjoy doing. Thank you for being a part of MACAW. What is the one thing that we need a lot more of? That's right, bird seed. No, money! There are so many needs out there right now and too few dollars to help them all. I am looking for volunteers to help MACAW find ways to raise more funds so we may help more avian causes. I also need volunteers to help reach out to the community to help educate people on the responsibilities of having a bird. Volunteers don't be shy. So few people volunteer these days that you become instant heroes when you volunteer. Speaking of volunteering, we also have openings in our Adopt a Highway and Bird Ambassador programs. If interested, please email me. Our special guest speaker in October was Mr. Jim Hubing, the zoo director from the Henry Vilas Zoo. Mr. Hubing covered many topics in a short time and spent a lot of time answering questions from our members. Look for Ruth's column for more information on Mr. Hubings visit to MACAW. Speaking of the zoo, we passed out MACAW information packets to the kids who visited the zoo Halloween weekend. Also, our members were invited to participate in the zoo's Halloween at the Zoo event over Halloween weekend. The zoo continues to work with us in getting their new Bird Ambassador program going at the new aviary and we will have more on this as developments occur. Two changes took place since we last met. First, we are planning to move our monthly meetings to the Dane County Humane Society starting in January. By making this move, we will be meeting in a more central location for everyone. We will also be donating the money we used to pay the church for rent to the humane society. At the current time we are still planning on having our annual Christmas party at the usual place, at the church in the big room in the basement. Watch for any changes to this in our December flyer. The second change is with our MACAW library. It is now located at the Fine Feathered Friends Sanctuary. Sandi is our new librarian. Congratulations Sandi on your promotion, and many thanks to Kathy Thimling for her many years of service as our past librarian. Fine Feathered Friends has a new building and is having a grand opening celebration on November 8th. Mark your calendars now so you don't miss this. Their new address is 2410 Daniels St. F, Madison, WI 53713 (about Stoughton and Pflum) and their office hours are Fri. & Sat. from 10 am until 6 pm and on Sundays from Noon until 5. The Pet Facilities Bill hearing took place at the Capitol on October 16th. MACAW and Fine Feathered Friends were there on behalf of all companion birds in the state. In fact, we were the only ones there representing our birds for the entire state. It was a proud moment for our club. I met some of the most powerful and involved people who care so much for animal welfare and was able to express our views, coming from a bird's perspective. There is still work to be done, so please stay tuned to this topic as it makes its way through the process. For the latest information, please visit our Action Alerts Forum on our MACAW website for daily updates on this important topic. What do you think of starting a "MACAW Approved" program for pet stores here? Only pet stores that meet our standards in care would receive this approval. We would set the standards based on your feedback. If a pet store received complaints and they could not be resolved, we could remove our approval. What do you think? The ASPCA regional lawyer, Ledy VanKavage, thought this was a great idea and one that might help motivate pet stores to take better care of their animals. Have you ever trained your bird using a clicker? Some people are using clickers as effective ways to teach their birds new behaviors. In a future meeting or newsletter article we will learn more about the use of clickers and how well they work. Thank you for sharing your day with us. I now invite you to read through the latest issue Christene, our hard working newsletter editor, put together for us. Please don't hesitate to send me an email if you have any questions, concerns, complaints or ideas. I want to hear from you! Also, mark your calendars for our Christmas party December 14th! Effective January, 2004, MACAW will no longer be meeting at Midvale Community Lutheran Church. Our new meeting place will be at the Dane County Humane Society, on 5132 Voges Road in Madison. The phone number is 608-838-0413. We will be meeting in the large classroom; if not available, we will meet in the small classroom. Please let me know if you have any questions or need directions to the shelter. On October 16th, senators and state representatives gathered at our State Capitol to hear the introduction and testimony for the proposed Pet Facilities Bill -- a bill that addresses the animal abuse stories we are all too familiar with at our pet stores. MACAW, along with Fine Feathered Friends, were the only two organizations represented at the hearing speaking on behalf of all of the companion birds in our state. MACAW members who were unable to attend, wrote letters to state representatives to give their support. On behalf of all companion birds in the state of Wisconsin, to all of you MACAW and Fine Feathered Friends members, and to those who helped and are not members yet, please stand up and take a bow. You not only have my thanks, but also the thanks personally expressed to us by the authors of this bill, and the many others who have been trying to get this bill passed. Our efforts were noticed and appreciated. It was a proud moment for MACAW. Members present at the hearing were Sandi and Randy Meinholz and myself. This bill, also known as AB 536, will be up for discussion on October 30th. If it passes, the Wisconsin Department of Agriculture, Trade and Consumer Protection, will begin writing new rules pet stores must then follow (among other things related to animal welfare). It is one step in the right direction. It is important to note that at the hearing, 40 people registered to speak in favor of the bill and just two people were speaking against it. In Memory of Richard Rach who died on October 15, 2003 after an apparent heart attack. Many of us knew Rich from his years working with The Wisconsin Cage Bird Club. Rich was a member of Wings and Things Exotic Bird Club and was the current President and Swap Chairperson for Wisconsin Cage Bird Club. He was known for his beautiful collection of Lories. Rich was a truly fun person to be around and put a lot of time and energy into WCBC. At only 55 years of age, this was truly an unexpected loss. He will be missed by many friends, family and fellow bird lovers. For more information on adopting any of these birds, please go to our website at www.feathered-friends.com. You may fill out an adoption application and email it to us from there. You can also stop by the sanctuary to meet the birds. We are open Fri. & Sat. from 10 am to 6 pm, Sunday from Noon to 5 pm, Tues. Wed. & Thurs. by appt. only, Closed to the public on Mondays. Fine Feathered Friends Sanctuary Inc., 2410 Daniels Street Suite F, Madison, WI. (Stoughton Road to Pflaum, East on Pflaum (away from Monona), 2nd Right is Daniels Street. We are the 2nd driveway on the left. You will see our sign. Hope to see you soon. As of this writing, the shelter has 1 cockatiel (male, 2 yrs. old) and 5 zebra finches. Please contact Doug Brown with questions about bird adoptions at 608-838-0413, extension 101. You can learn a lot of bad habits going to a pet store. Dirty food, water and cages breed bacteria faster than you can yell "Help!". Your bird might eat or drink something contaminated by this bacteria which can cause your bird to become ill. 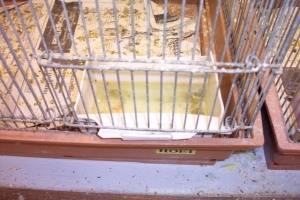 Crowded cages create more stress, spreads disease easier between birds, and the cage becomes dirtier faster. Having perches the same size creates sores on the bottom of the bird's feet. It is recommended to clean cages, water and food bowls once a day, and give fresh water to your birds at least twice a day. Birds are messy. Also, giving your bird different size perches helps promote healthy feet. Perhaps you're familiar with the small plastic boxes that make a clicking noise when the metal strip contained inside them is pushed. Maybe you've seen them used on TV pet shows to get dogs to do tricks. You might have even bought one at the local pet store to try out on Fido. But, did you know that these little objects are wonderful tools to turn Birdzilla back into the Pollybird you once knew and loved? Or maybe you have a perch potato who you can't coax out of the cage, even for a favorite treat. Even if you have a bird who is an absolute angel, clicker training can be positive and beneficial for both of you. Clicker training is a positive way to interact with your bird by giving him the choice to perform a behavior and by rewarding his choice to perform the behavior. As companions to birds, we are all very familiar with the idea of rewarding positive behaviors and ignoring negative behaviors. How many times have we all heard that? Well, clicker training truly is based on this idea where behaviors are broken down into pieces and taught to your bird one at a time by rewarding the bird immediately with a click of the clicker and then followed by a treat (usually a favorite food that is kept out of the diet but can be praises or anything that highly motivates the bird). The click is known as the bridge because it bridges the time between the behavior and the receiving of the treat. Slowly, pieces can be strung together to get a full behavior and the behavior can be cued by something other than the clicker over time. Some of the benefits of clicker training is that it will improve the communication between you and your bird, making it much easier for your bird to understand what you are asking of him as long as you use clear and simple steps and you are consistent with the training. You will also learn to read your bird's body language much more clearly. Clicker training also allows you to increase the amount of quality time that you and your bird spend together, challenging both of you mentally and your bird physically, depending on the behaviors you choose to train. Alternative behaviors can also be taught to replace unwanted behaviors such as teaching your bird to talk on cue instead of screaming. Don't forget that well-behaved birds make better friends and are more enjoyable for those who aren't familiar with these magnificent creatures. With clicker training, you can teach your bird parlor tricks that are great when visiting friends and family members or doing volunteer work at Billy's school or Grandma's nursing home. Let your well-behaved parrot be a birdie ambassador for his species! Of course, there's always teaching feisty Polly how to lift those wings and feet for nail and wing trims. The possibilities are endless! Here are just a few examples that have come across my email to give you an idea: Turn around, wave, retrieve, raise a bucket to get a treat, talk on cue, play basketball, put coins in a piggy bank, roller skate, come when called, learn a certain sound, saying or clicking sequence for when he is doing something wrong. To learn more about clicker training for birds, a new book by Melinda Johnson has just been published and can be bought as a kit at www.clickertraining.com or the just the book can be purchased at amazon.com. There is also an email list on yahoo.com called clickbirds for support and more information. 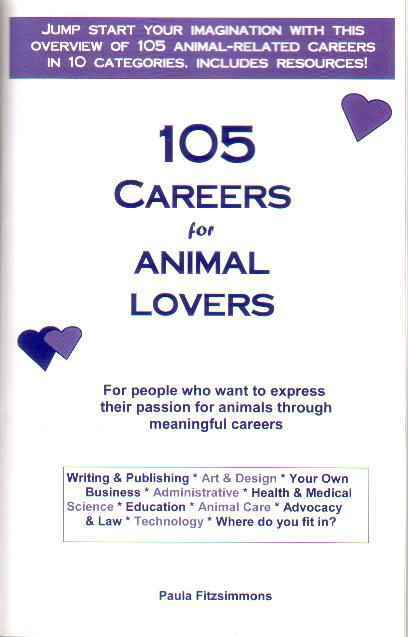 November 9th- Rob Porter, DVM, PhD. He is a veterinary pathologist at the Wisconsin Veterinary Diagnostic Laboratory, with a joint appointment in the Department of Pathobiology, at the School of Veterinary Medicine of the University of Wisconsin-Madison. Topic: Selected Cases from the Wisconsin Veterinary Diagnostic Laboratory. February 8th- Lori Drew, CVTShe is director of the Pet Network Exotic Bird Rescue of West Allis, Wisconsin. Topic: Administering basic first-aid to our birds.